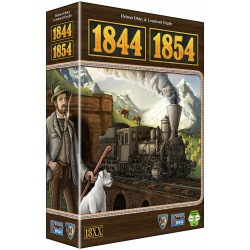 The railway history of both Switzerland and Austria can be explored in 1844/1854, two previously self-published designs — both based on the 1829 (aka 18xx) game system created by Francis Tresham — that have been thoroughly revised for this new edition. 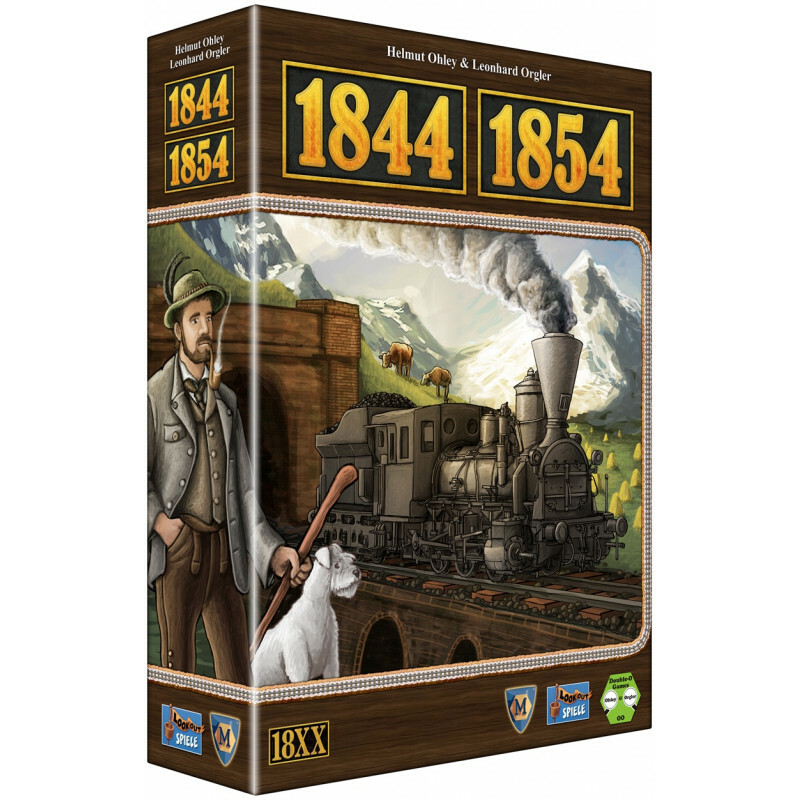 A special feature of 1854, set in Austria, is located in the stock split, which comes into play in the additional shares. As in 1844’, there are mergers of companies, two types of locomotives, tunnels, mountain railways, and private companies. 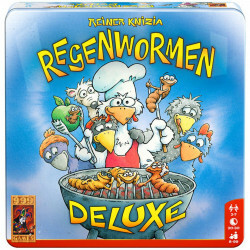 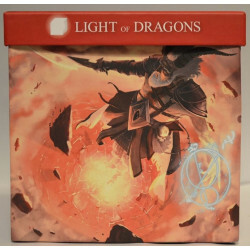 In addition, some private companies operate on a separate game board depicting the Steyr region.